If you want to create a website on the Internet then you must have knowledge about Web hosting and domain name. The domain means to find a place on the Internet and web hosting means to buy a place at that address. Example: – We can relate domain and host to any property. As we take a plot, we take it at a specific address and take the place according to your own living. Even when making a website, you have to pay attention to these two things. WordPress Hosting: If you have a blog or website on WordPress, it is recommended that you buy a WordPress hosting package because it is particularly customizable to complete your WordPress site. Email Accounts: Most hosting providers require their domain name. With the domain name (for example, www.yourwebsite.com) and the email account provided by the hosting company, you can create email accounts for the domain (for example your name @ yourwebsite.com). What does a Digital Marketer Do In 2019? How to make money through Blogging in 2019? Recover Apple ID and Passcode. 100% Free Domain name and Web Hosting. Shared Hosting: If you have a blog or small company starting out, there is a good option to start hosting. A cheaper hosting option is available because your server space is shared from other sites. It is easy and easy to use. On the other hand, because you share the location and resources of many other websites on the same server, the additional charges with the other website will slow your site down. You have minimal control over the server. FTP Access: Allows you to upload files to your web server from your local server using FTP. If you use your HTML files to your website, you can transfer files from your computer to a web server via FTP, so that your site can be accessed through the Internet. VPS hosting: You can think of hosting as a high, powerful and advanced image for shared hosting for VPS. When you share your server with other Web sites, you are given resources that you do not share with other features. If you cannot afford a server break, VPS is the way to go. The second way to arrange to host is by the level of management provided by the hosting company. Like any computer, you must keep and upgrade your server. Although most hosting providers offer to host, you can find hosting companies offering unorganized packages. This means that you are upgrading and promoting yourself, but you will have more flexibility. Obviously, you offer different packaging services that offer different arrangements, so they are not really one case or situation. Hosting categories can also be categorized according to the additional services provided. Some additional services including backup, malware scanning, SSL certificate, degree support, website creation and so on. To take a very basic perspective, these three elements are planning to host. For example, you may have a shared hosting plan with full server management, SSL certificate, backup, and other additional services. Of course, the more services, the more expensive the projects will be. 1) Free Web Hosting: – Just like you know by name, free web hosting means free hosting. The Internet has a lot of web hosts that provide subdomains to people who want to create a website. Some of the best free web hosts include blogger and WordPress. 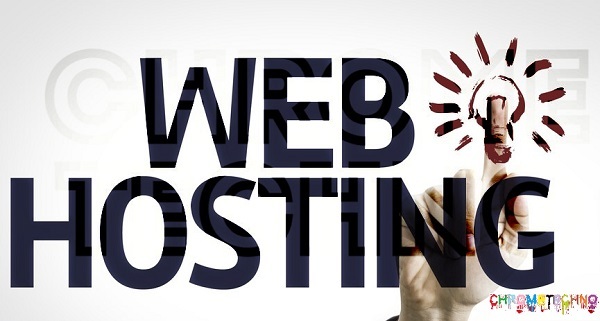 When you make your websites with these hosting sites, your website gets some names like you site.blogspot.com and yousite.wordpress.com. If you want to get a website with a domain name that does not include an external site name, you’ll need to buy a domain and then get a web hosting that is usually a paid service. However, there are many web hosting companies that offer free hosting on the web with some other products/services that you have purchased. If you want to start blogging to express yourself to your own thoughts, you’re interested in them, so free web hosting is more than enough for your needs. Some good options are available, and they make things possible. They provide all the resources that work on your site immediately and include free templates, social support, and some customization levels. However, if you’re looking for a business or professional website, free web hosting will allow you to show it commercially. If you choose the free web hosting option, you’ll be able to tell everyone that your business is in a very strong position, so you cannot spend $ 100 a year on good reviews. 2) Colocation hosting: – In this type of host, you will buy your own server and maintain the features of your web host. You will be responsible for the server. The advantage of this type of hosting service is that you have full control over your web server. You can install the script or application. If you want a simple blog or a relatively small site, then colocation is suitable. Despite regular services, this applies to any person or company that is not skilled in preparing and maintaining the server. On the other hand, this is a good choice for small and medium businesses that want to be on the web but do not want to deal with normal web host issues. Additionally, if you need a more robust solution than to be available from a Web host, colocation might be a good idea for you. However, before you choose colocation, it is a good idea to look at cloud hosting at least. 3) Self-service hosting: – The limit-less hosting plan – you do it all yourself with any need! You easily buy the servers, install and configure the software, but make sure there are sufficient cooling and power in your machine room, and double up everything for redundancy. Previous articlewhat is affiliate marketing and how does it work? ?